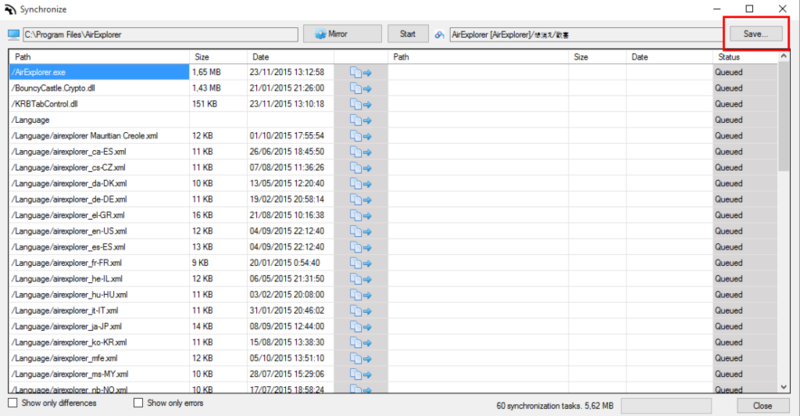 Air Explorer is a cloud manager that lets you work with all your cloud and FTP servers, but also you don’t need to open your explorer to work with local files, with Air Explorer you can work locally, copying and pasting files, searching files, even synchronizing folders. 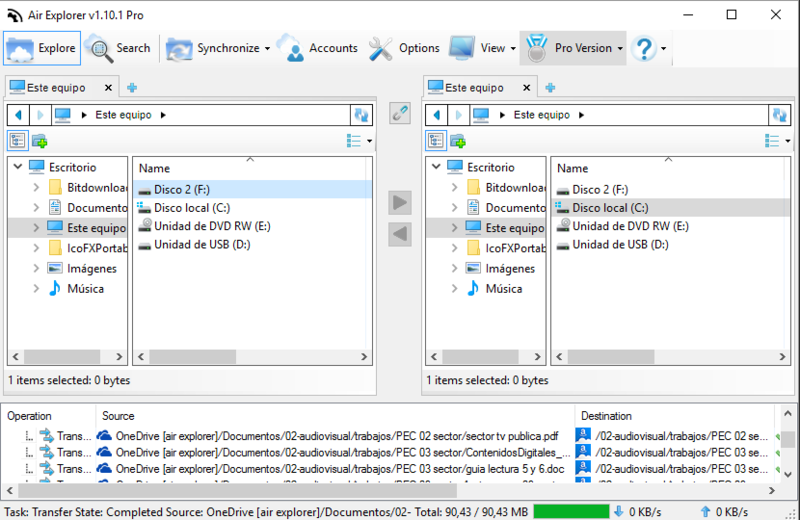 In this way, you can use Air Explorer as a synchronization tool for your own computer folders. You can control all your files with one software. You can display and organize your files between clouds, or between one cloud and your local disk, make backups only opening Air Explorer. You can synchronize folders between clouds in Air Explorer. 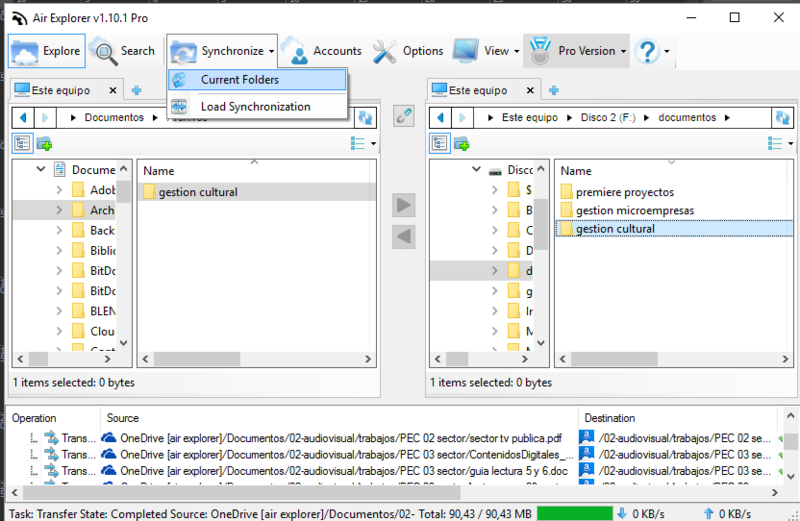 First you have to select the two folders to compare, and next, you have to click on the “Synchronize” button. 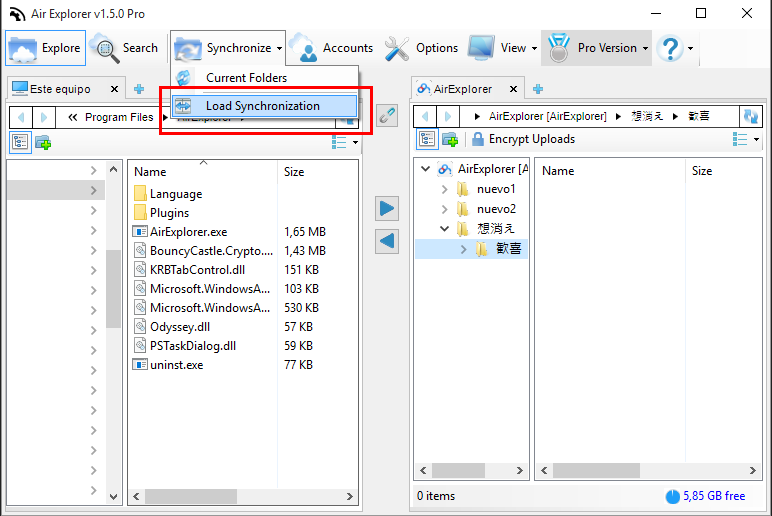 With the “Save and load synchronizations” feature the user can save a synchronization configuration, this include the clouds and folders to synchronize and the type of synchronization (mirror, custom, etc.) So the next time you want to do the same synchronization you won’t have to configure it again, you can just load it and start synchronizing. 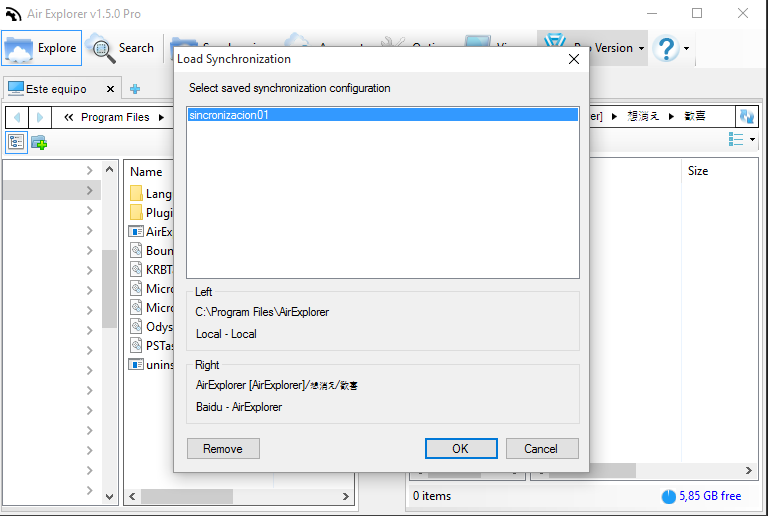 Once you save your synchronization, you can open “Load Syncronization” to load it and start synchronizing. This feature is only available for Pro users.